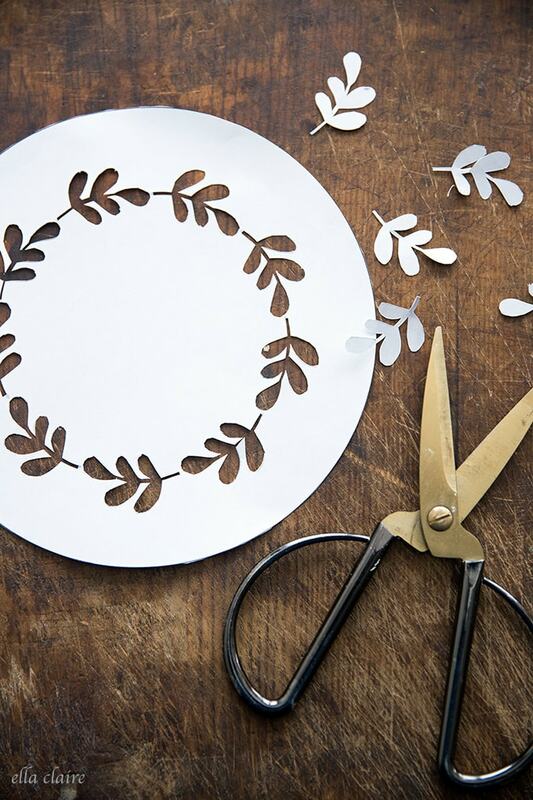 Download these 3 free printable cake stencils to add charming fall leaf wreaths to your autumn desserts. 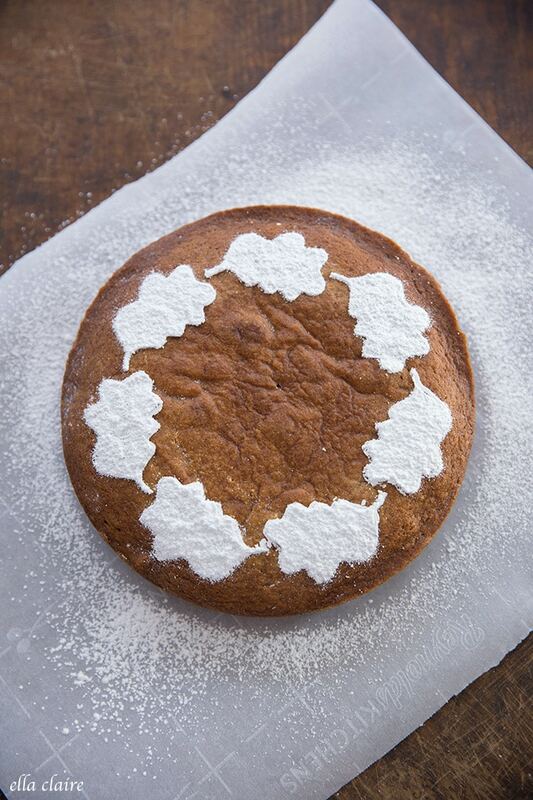 Baking is one of our very favorite things to do when the air becomes crisp in the fall. My littles and I tie on our matching aprons and pull up stools around the kitchen counter while we bake our yummy treats. 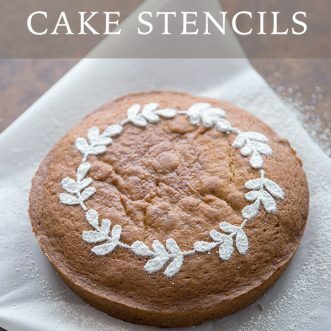 I have been wanting to make a few cake stencils, so this was a fun project for us- and my littles thought it was magical when I lifted the stencil to show the finished result. 2. 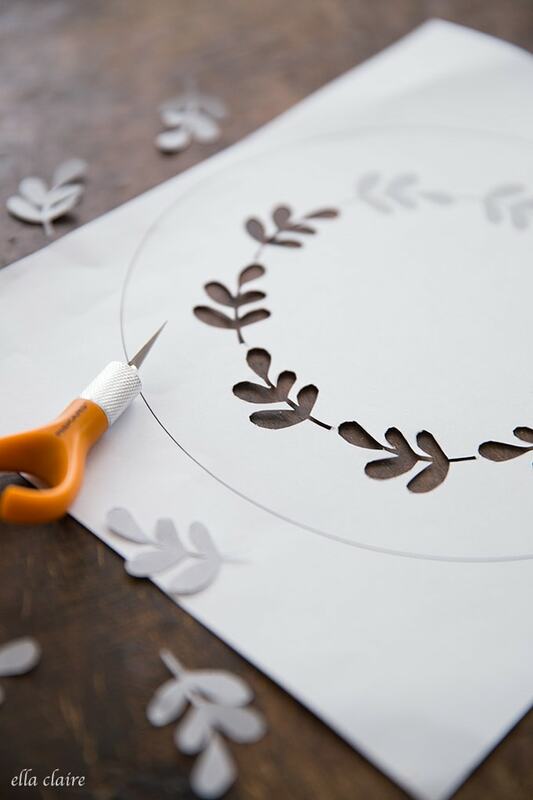 Print out the free printable cake stencil and cut out with an exacto knife. It doesn’t have to be perfect at all (look at mine- not even close to perfect). 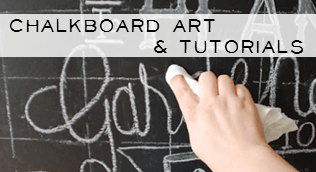 You can download the cake templates HERE. Please remember these are for personal use only. 3. 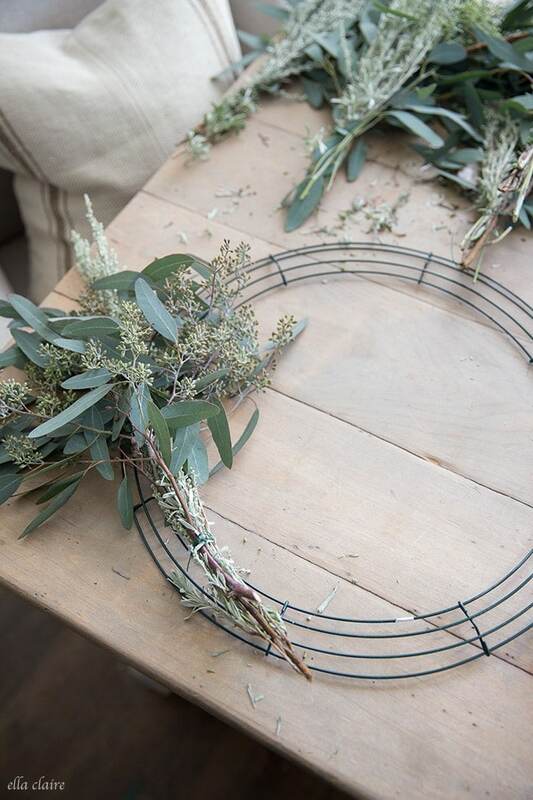 Cut out the outside circle which will help in centering your wreath on the cake. 4. 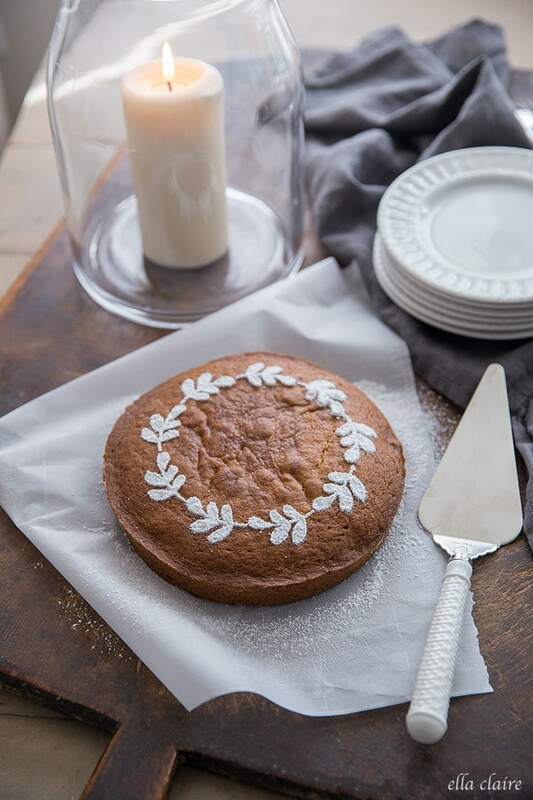 Lay stencil, centered, on your cake. 5. 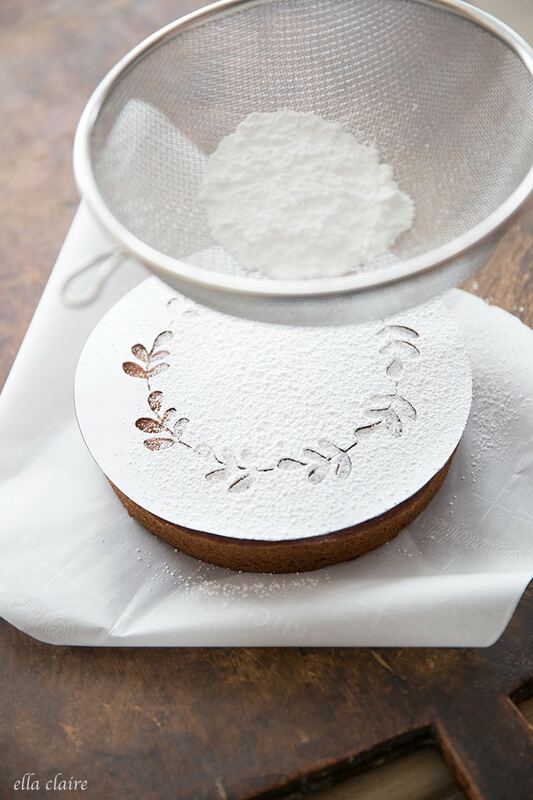 Use a sifter to generously cover the stencil with powdered sugar. 6. 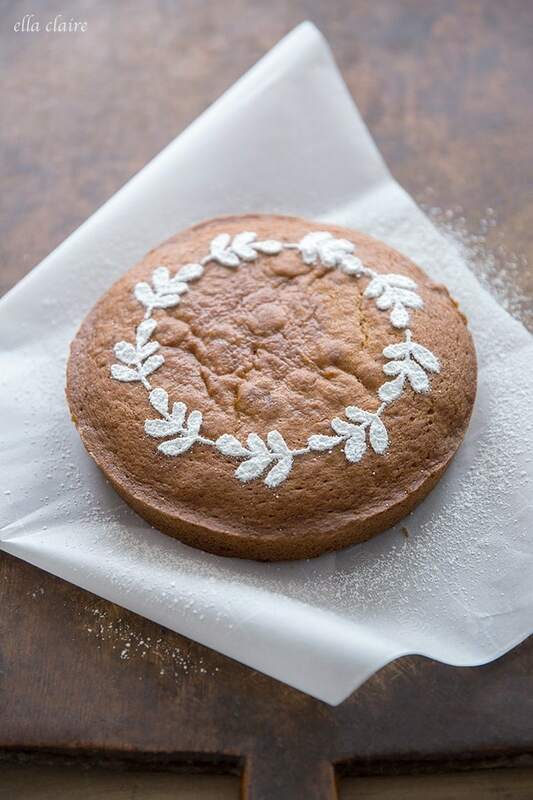 Gently remove stencil from cake and see your beautiful leaves! 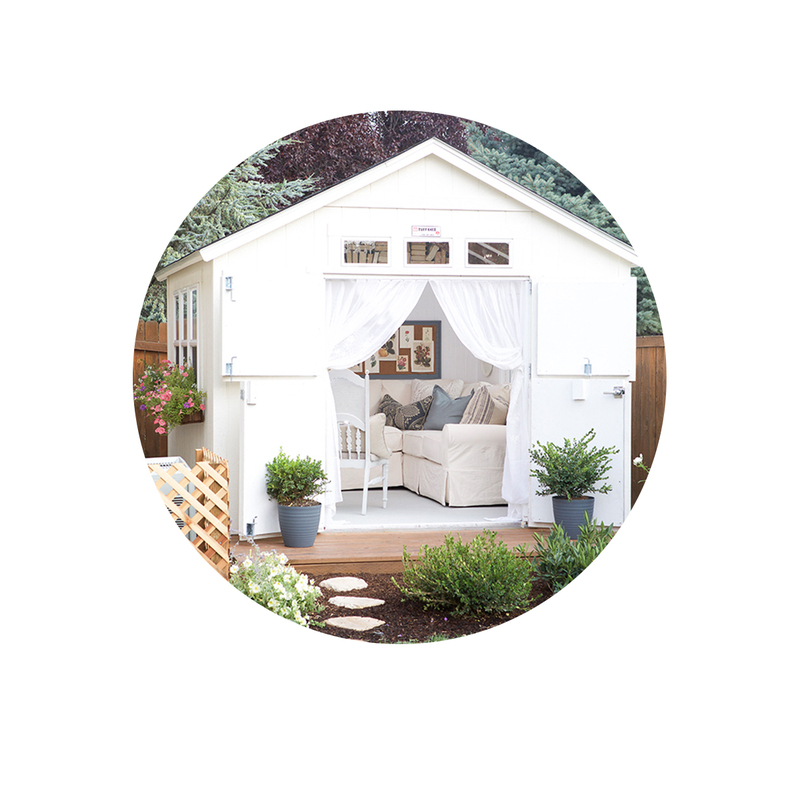 I think they are so simple and pretty in a very unfussy way. They would be a perfect thing to drop by to a friend too. I think using a nice moist cake is really the key- one that tastes really yummy on its own without frosting. Thank you for the wonderful cake stencils and tutorial, it is so lovely that you shared your talent.